One Direction have confirmed they'll be making a return to Australia and Asia next year - much to the delight of their hordes of fans. They've only just kicked off their Where We Are tour, but the boy band heartthrobs have already announced they'll be playing new dates in different parts of the world early next year. The On The Road Again 2015 tour will see them perform in Australia, Indonesia, South Africa, Thailand, Singapore, Japan, the Philippines, and the United Arab Emirates - the first show will kick off on 7 February at the Allianz Stadium in Sydney. The fit fivesome have been on quite a journey since they kicked off their world tour in February – entertaining no less than 571,140 fans in the process - but it's finally come to an end. Yup, they're coming home. Paying thanks to the millions of adoring fans, 1DHQ posted a message on the band's Instagram account that read: "What an unbelievable tour, thank you to all the fans around the world who made this happen! 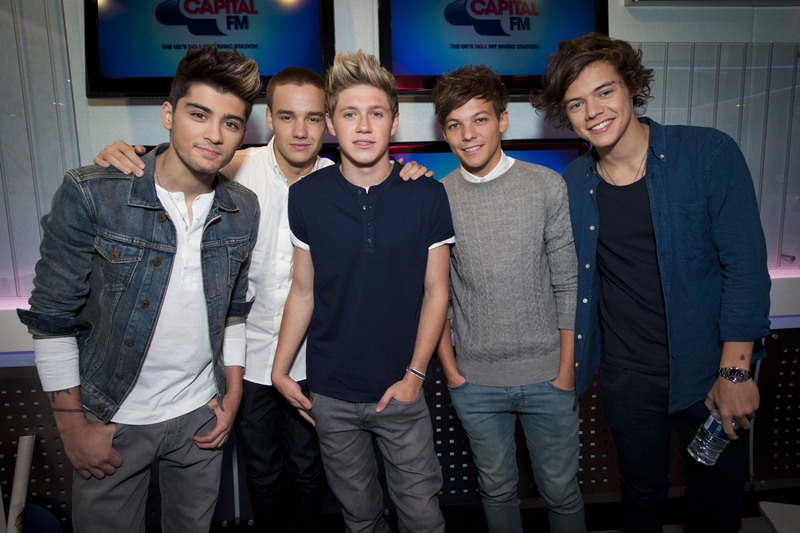 1DHQ x." Buff blonde Niall wrote: "134 shows ! And I wasn't bored for one show because we have the best fans on the planet, and we do all this for u, coz u gave all this to us. "Feels like years ago we started on that freezing cold night in February at the O2 in London ! "I've had an amazing year! Thank you all soo much! never forget this tour ! #TMHworldtour2013. "That's it ! TMHT is over! Thank you soo much everyone who made it what it was! What a year ! Xxxx." While Liam shared: "Last day of tourrrrrr!!!!!! Looking forward to seeing that someone special. "Wowwee tour finished, thank you to everyone who made it brilliantttt!" And curly-haired heartthrob Harry simply said: "So that's it." Messages also flooded in from hordes of dedicated fans. 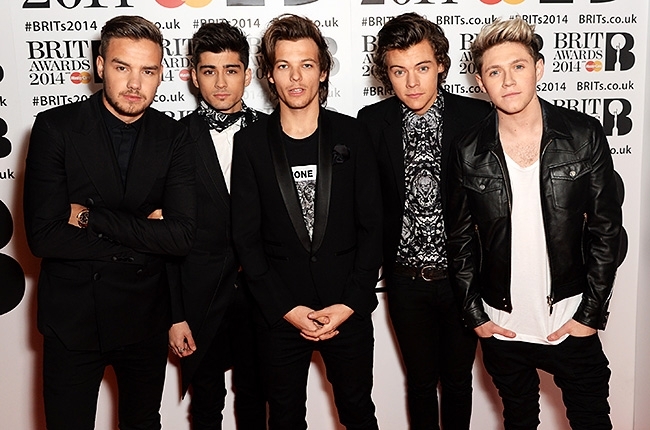 "We love you ONE DIRECTION. Thank you sooooo much for everything. You changed my life better. Can't believe THM Tour is over... BEST SHOW EVER," wrote one. While another said: "So sad that the tmh tour is over, it was my first one direction concert I went to, wish I could go back to that day :(." "Am I actually getting emotional thinking about how the One Direction world tour is over? Well isn't this embarrassing," posted one glum 1D-er. While one particularly wise fan wrote: "The TMH tour is over. A chapter in one direction history is over. That means a new one is about to begin." Although the lads wrapped up their mammoth tour in Tokyo, they got particularly emotional as they waved goodbye to the Australian leg - where they spent over a month - and Niall, Zayn and Harry all appeared to be crying in pictures taken by fans on the night. 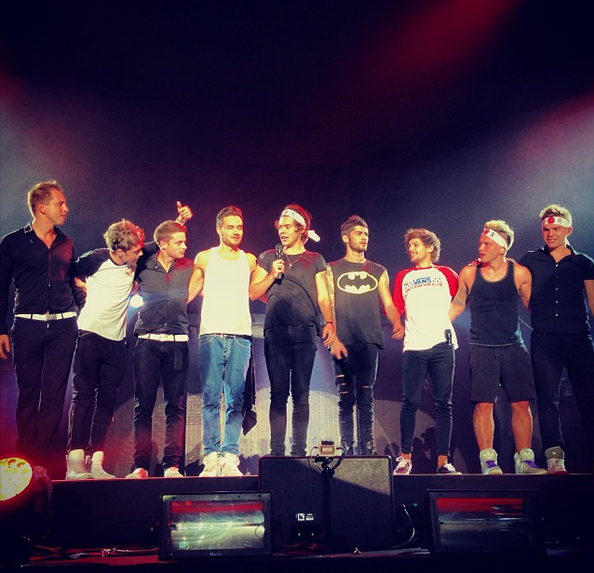 1D Complete Australian Leg Of Take Me Home! 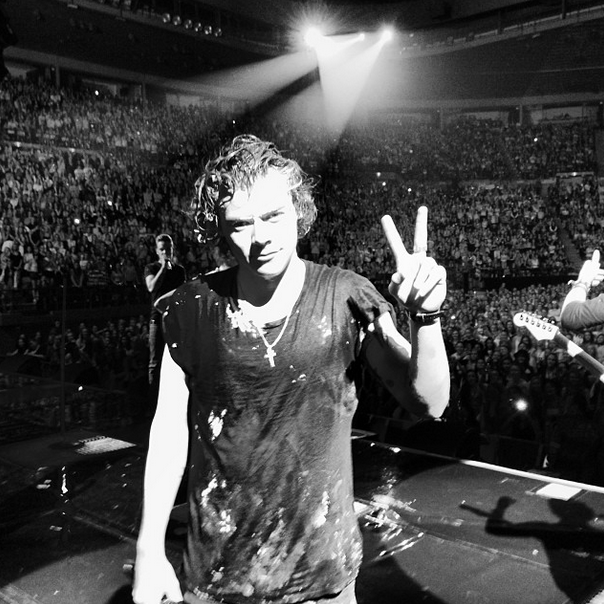 One Direction celebrated their final night on tour in Australia with an on-stage cream pie fight. The jovial five – Harry Styles, 19, Louis Tomlinson, 21, Niall Horan, 20, Liam Payne, 20 and Zayn Malik, 20 – have finished the Australian leg of their mammoth Take Me Home tour in Melbourne. Performing the hit Wheatus song Teenage Dirtbag with support act 5 Seconds of Summer, the lads on stage were seen gleefully throwing pies at each other, getting covered head to toe. Styles posed for the band’s official Twitter with a snap of him covered in the white stuff. ‘Thank you Melbourne for letting us do that. It was an amazing last show. Australia you’ve been absolutely incredible. Thank you so much .x’ he said on his own Twitter feed following the gig. ‘132 shows of 134 ! Can’t believe it’s nearly over! Sad times! But I’m ready to go again in the new year for where we are tour !’ added Horan – pointing out the epic tour is not over just yet. 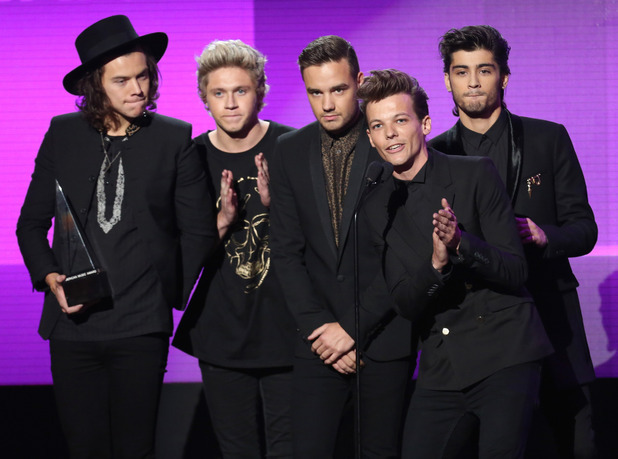 The boys started their show in London back in February and will finally climax in Japan on November 3 – before setting off on a follow-up world tour next year.